During the course of the attorney-client relationship, I will ask you for many, many documents, among other information. I can’t put into words the value of having a client that is organized, responsive and provides me with information in a timely manner. This will accomplish several things. First, it will allow me to review and digest the information so that I can counsel you on the relevant issues in your case. Second, if you respond timely and I don’t have to “chase” you for the information, it will help to move the process along. The sooner the process is over, the sooner you can move on with your life. Third, you will save counsel fees if I’m not forced to waste your valuable money for repeatedly asking you to provide me with something. Yes, it is an often-quoted line from Jerry McGuire, but it rings true. 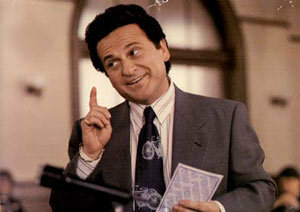 Let us not forget that Jerry was a sports agent and a lawyer. The man knows what he’s talking about. Often times, a client will tell me there was a verbal agreement with the other party about a certain issue. The classic case is an “agreement” relating to a large sum of money, such as whether that “loan” from your parents for a down payment on a house was truly a “loan” or a “gift.” You can tell me until you are blue in the face that your parents are expecting to be paid back. I’ll believe you and will argue vehemently for you in settlement negotiations. However, if a judge has to decide the issue, it only matters what can be proven in a court within the very restrictive confines of the Rules of Evidence. What does this mean? This means there may come a time in your case where you may have to accept the reality that you simply can’t prove your position. Understand, you are not conceding defeat. You are making the conscious decision to stop arguing an issue that you can’t win in court so that you can move forward with settling your case. Please don’t lie to me. If I find out you lied to me, I will have to terminate our working relationship. This means that you have to get a new lawyer and pay that new lawyer to get caught up to speed on your case. If you lie to me, it will cost you money. I need to know all of the relevant information to give you the best advice possible. If I don’t know the truth, you are simply hurting your own case. Don’t be embarrassed – I’ve heard it all. Please don’t lie to the court. If you lie to the court, you are committing perjury – which is a crime. Don’t do it. Please don’t lie to your spouse. If you lie to your spouse, they will tell the court and you’re credibility will be forever compromised in your case. Vincent Laguardia Gambini may not have been the most polished attorney, but he did get his client off of first degree murder. Listen to the man. No one “wins” in a divorce – or any other family court-related matter. There are no “winners” or “losers.” Trying to “win” your divorce will not only result in more acrimony between you and your spouse – it will also affect your wallet. Clients who are fueled by spite, revenge or just a need to see the other party squirm are guaranteed two things. First, you will never achieve the sense of victory you seek. Second, it will cost you more counsel fees taking the scorched earth route seeking a “win”. Sometimes, judges get it wrong. It’s that simple. Sometimes, you go to court and you truly are on the “right” side of an issue, only to have the wind taken out of your sails by a judge. Maybe the judge is having a bad day. Maybe the judge is new to the family bench. Maybe you are the tenth case that the judge has heard that day. Or, maybe the judge just does not agree with you. It happens. If it happens to you, we will pick ourselves up, dust ourselves off and figure out your options from there. Overall, being in an attorney-client relationship is a team effort. We need to be honest with one another. We need to work together to ensure deadlines are met, information is exchanged, and that I have everything I need to give you the best representation. In the end, it’s not about winning or losing. It’s about proving your case, making smart decisions, keeping fees to a minimum, and closing this chapter in your life so you can feel happier, empowered and prepared for the future you deserve. If you would like to discuss your circumstances in more detail and how you can benefit from an attorney-client relationship with our firm, call our team at 973-993-9960 to schedule a consultation.